Join Michael B. Gordon for a walking tour of his garden where he will reveal how he has incorporated a simplified version of the succession planting concepts used by the late Christopher Lloyd and Fergus Garrett at Great Dixter, England, in his small private garden. Michael will explain how he uses combinations of woody and herbaceous plants to extend the season as long as he possibly can in New Hampshire. The talk will be of interest to the plantsman as well as the designer. Refreshments will be served. Michael B. Gordon is an optometrist by profession but a gardener by obsession. He has designed public gardens in Peterborough for nearly two decades. He has a passion for visiting gardens in the United States and abroad. Each year, he leads a tour of English Gardens and brings back ideas for his own garden. Your registration includes Open Days admission to this garden destination—a $7 value. 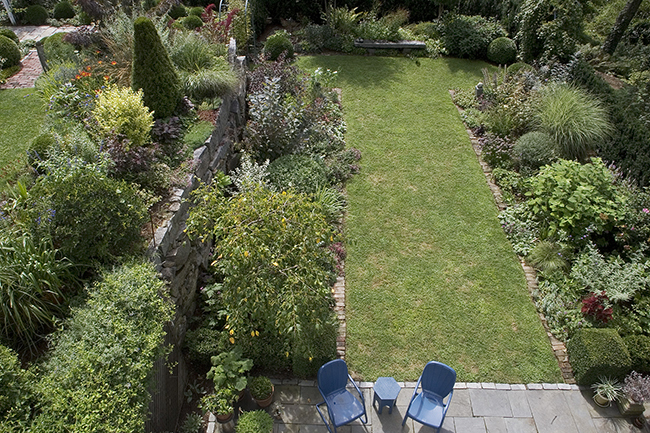 The Garden of Michael & Betsy Gordon will be open to general Open Days visitors on this date from 10 a.m. to 4 p.m.